The name Dr. Seuss needs no introduction. Famous for his children’s novels that blended his brilliant rhyming schemes with illogical logic, nonsense words, and surrealist worlds into popular works such as The Cat in the Hat, How the Grinch Stole Christmas!, and The Lorax. Still, there was more to Dr. Seuss than just these works, despite being his most famous creations. He was also a renowned illustrator, creating artwork for magazines, political cartoons, and most interestingly of all, himself. As discussed in this article by The Guardian, Seuss illustrated hundreds of surreal artworks in the late hours of the night, painting for himself. 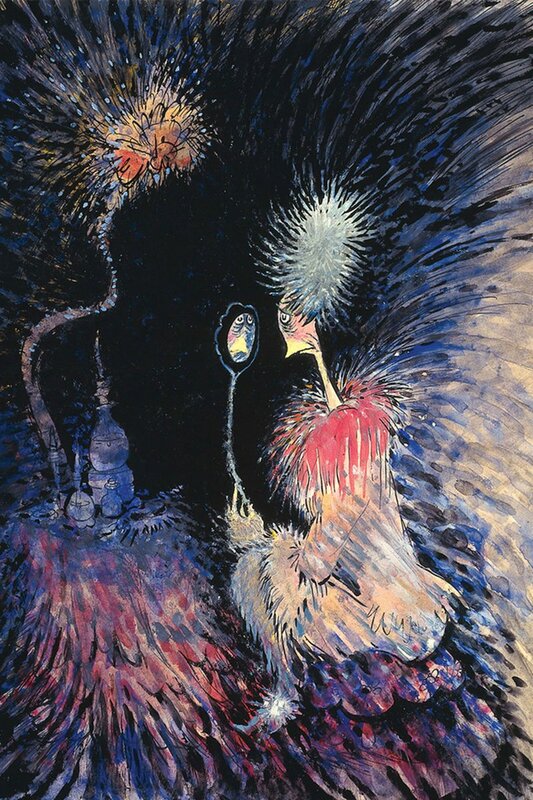 These paintings were kept private until Seuss’s death, after which they were released to the public in an exhibition in Vancouver in 2016, dubbed The Art of Dr. Seuss and Liss Gallery. As discussed in this article by The Star, Seuss historians believe Dr. Seuss created these artworks to fulfill his imagination, his unshackled creativity inspiring him to put his best work forward for his actual public artwork. The gallery showcased sculptures, paintings, and illustrations released by his Estate, showcasing the private mind of Dr. Seuss. Below are some of the ‘Midnight Paintings’, allowing us a glimpse into the mind of the author whose works we grew up with. 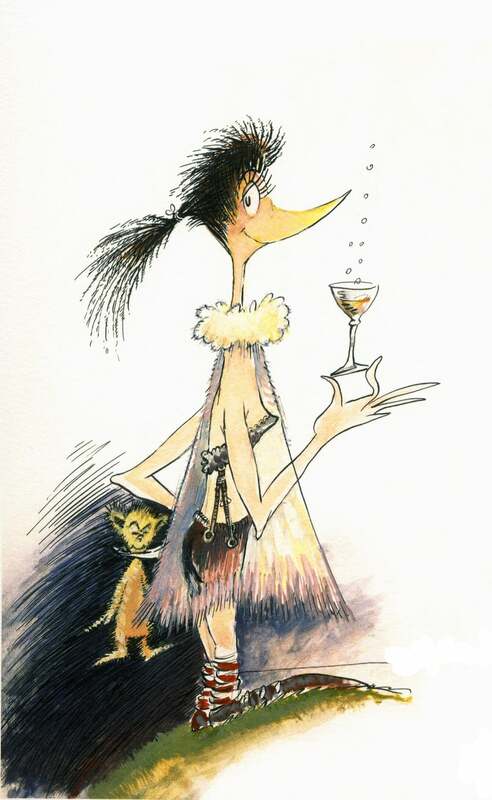 The paintings were collected into a book called The Secret Art of Dr. Seuss. Featuring sixty-five color illustrations, the book allows one to see Dr. Seuss in a whole new light. Pick up a copy today and bask for yourself in the beautiful illustrations of Dr. Seuss’s private world.